Bobo's a neighbourhood diner. Provides high end fast food, delivering mouth-watering burgers made from top quality prime young heifer meat. Reviewed by Dublinevents.com on February 09 . 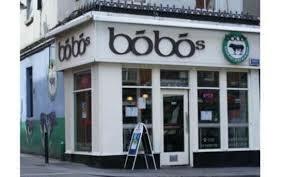 Bobo's are a neighbourhood diner. We aim to provide an Irish take on high end fast food, delivering mouth-watering burgers made from top quality prime young heifer meat. Enjoy our fresh locally sourced food and generous portions in a fun friendly atmosphere with a large dollop of nostalgia thrown in. Our mantra is to take our grub seriously, but not ourselves! 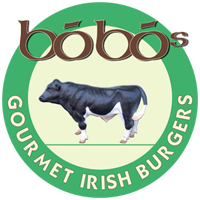 You'll find no sacred cows in Bobo's except for the ones in the burgers!